The return in technical solutions of plane piloting to the basic principles used at the beginning of aviation proves that all new things are long-forgotten old things. 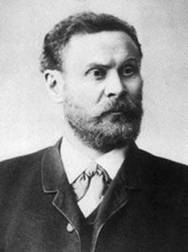 The morphous concept used in modern aviation is based on the piloting principles developed by Otto Lilienthale. 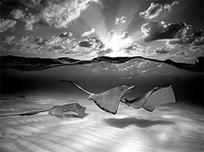 The concept of a flexible or a morphous wings very promising for a number of reasons. As plane velocities increase along with it the wing load increases and any joint or a bump of course increases fuel consumption. Thus the task to smoothen aero dynamical forms becomes urgent. The curve of a wing of a glider changes relative to the axis that is parallel to the flight direction. The curve of a wing that is equipped with ailerons changes relative to the axis that is perpendicular to the flight direction. This difference can be called “the rotation phenomenon of the plane and the axis of rotation in the executive parts of the machine”. On the figure to the left we can see a gauchering of a glider wing performed by Otto Lilienthale. On the figure to the right a gauchering of a biplane wing by the Wright brothers is displayed. Before ailerons were invented the problems of changing the aircraft list and turning the aircraft were solved by the “gauchering” method. This word originates from a French word “gauchissement” which means curvature, shift, bend, twist. This technology was first implemented in 1895 by a glider pioneer Otto Lilienthale and later on by the Wright brothers – pioneers in aviation. Two types of gauchering were applied at the beginning of aviation. 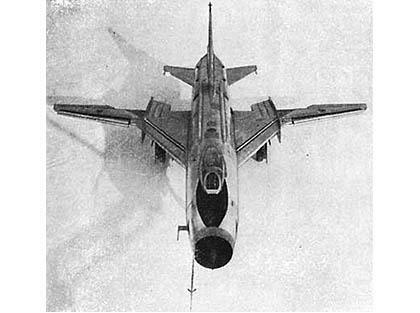 The first type provided the traction along the plane of the wing so the wing seemed “shorter” because of the curvature of its tips. 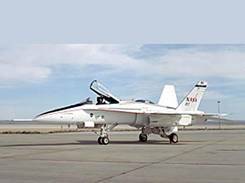 The second type had the traction orthogonal to the surface of the wing. The wing curled and became an element of a spiral. The first type was used by Otto Lilienthale and the second – by the Wright brothers. 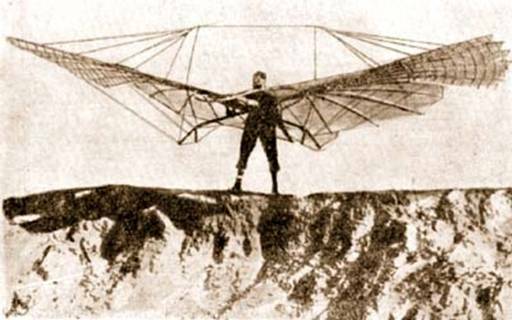 But why didn’t the Wright brothers use Otto Lilienthale’s technology? There are many explanations to this situation. First of all the data-tables with information about the velocities and wing forms (which they took from Lilenthale) didn’t confirm because of the differences in aero dynamical properties of motor and motorless crafts. Secondly, the spiral curling gives better aircraft list control then the “wrinkling”. This is particularly important for battle crafts – their morphous aerodynamical surfaces are attractive because they allow the decreasing of the area of the RF reflective surfaces the reduction of weight of mechanical drives. All this leads to increase of range ability, manoeuvrability and craft survivability in battles. But this is not all: scientists try their best to find ways of effective wing form control which will allow changing its aerodynamics. 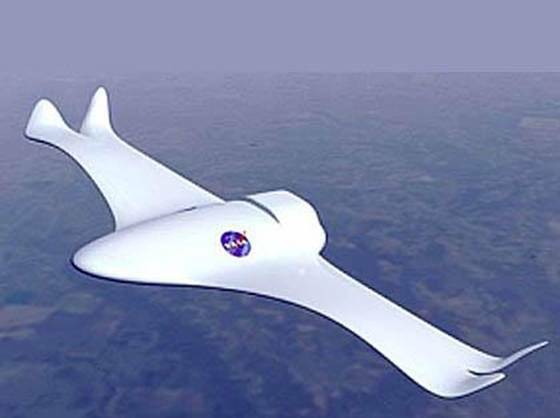 This is how in the opinion of NASA specialists a plane with a morphing wing looks like. It’s easy to guess that the concept of a morphous wing is used in paraplanes for a long time. By controlling the sling system by both hands you can change the curvature of the wing and change its effective surfaces at both sides which allows controlling the craft list and turning the craft. The same problem is solved in usual aircrafts by means of ailerons which first appeared on aircrafts designed by Igor Sikorsky in 1914. For most effective use the Wright brothers bent up one edge of the wing and bent down the other edge. But this scheme also has some disadvantages. 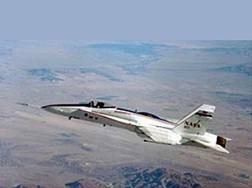 As aircraft velocities grew a possibility to change the profile of one of the wings independently from the other became necessary. This is how ailerons were invented – they allowed changing the curvature of one wing independently of the other. In the presented examples of aircraft list control problem solutions we observe the “axis rotation phenomenon” again as in the first example with the ailerons and the paraplane wings (or maybe the flexible wing of a modern battle aircraft F/A-18). 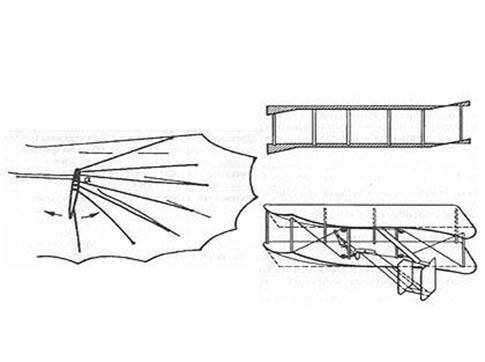 Otto Lilienthale’s gauchering construction had a vertical axis (oriented orthogonally to the flight direction) relative to which the wing fragments moved. The Wright brothers’ construction had horizontal rotation axis. Talking about the solution of Otto Lilienthale the first thing we can think about is aircrafts with changeable wing geometry. In Lilienthale’s device the sweep of a part of a wing changed. 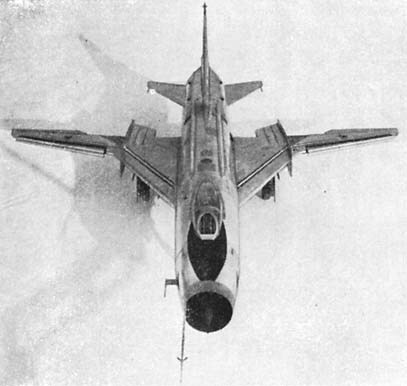 Some airplanes with changeable wing geometry for example a fighter-bomber SU-17 constructed by Sukhoy also have a changeable sweep of a part of a wing. We will obtain surprising results if we present in chronological order the applications of different engineering solutions of the problems of turning aircrafts and decreasing their aerodynamical resistance relative to the properties of constructions in use. We have made a table for regularities in repeating engineering solutions in the field of controlling aerodynamical surfaces of aircrafts. You can see this table below. Observations 1 and 4 coincide: Lilienthales planer was repeated in airplanes with a changeable wing geometry. Observations 2 and 5 are very similar: the gauchering system in the Wright brothers’ biplane was repeated in paraplanes and in the flexible wing concept. Can all these discussions help in “contriving” an airplane design that “doesn’t yet exist”? We’d like to say “yes” because there are many similar scenarios and poorly investigated regularities in technological expansion. For example the rotational phenomenon proved to be widely spread. More than 70 examples of its application are known in different fields of technical knowledge. Another thesis becomes evident that to approach future we need to know the past very well. The idea of a “morphous” aerodynamical surface is realized in nature. But to what extent can it be used in technical solutions? Most experts think that the idea of flapping flight as a direct transfer of natures’ examples to mechanics is unrealizable. But this verdict can change any moment. I first came over this term in this kind of context in a bokk by Stanislav Lemm «A sum of technologies». The main idea is to reveal certain points in all described historical facts from the point of view determined by modern knowledge in RDTS (the regularities in development of technical systems). I wanted to show that the well known law of dialectical materialism – “the law of negation of negation” appears all the time in the development of engineering. Naming regularity like this is good for philosophers but doesn’t suit us. “…the law of negation of negation – one of the main laws in dialectics which describes the orientation of progress, the unity of advancement and continuity in progress, the appearance of novelties and relative recurrence of some ideas of the past. This last was first presented by Hegel, but some features of this law (dialectic manner of negation, the significance of continuity in progress, non-linear manner of progress direction) appeared in earlier philosophical works. The law itself assumes the second negation in progress which discards the first negation that already took place. This means that the second negation (or the negation of negation) is a partial return to the point that has already appeared during progress, but was discarded by a negation. This shows that on a new progress phase some of the features of things or phenomena repeat that the ones that already existed in the past – at the previous stages of progress. Where the third element looks like the first one, but doesn’t coincide with him. 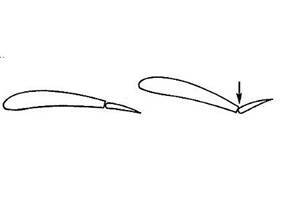 Let’s illustrate this idea with an example about the flexible wing. To explain this situation it is best to take a look at an analogous effect in a field of knowledge far from aviation. 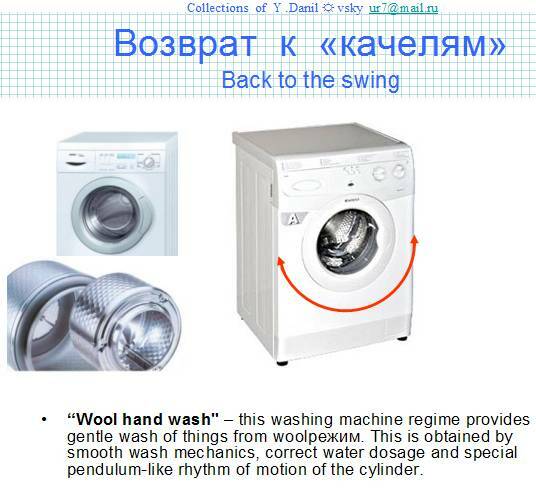 Fro example the history of washing machine development. Let’s call this phenomenon “ED motion polarization” for convenience. 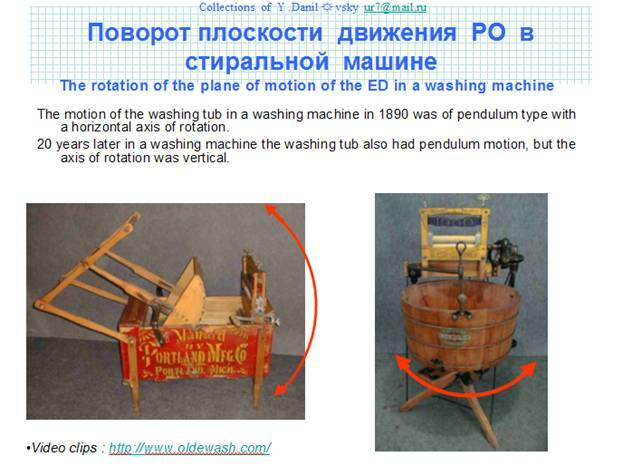 You can take a look at fantastic video clips form the washing machine museum. 115 years have past and new problems of protective washing things from wool and silk are solved using the same type of motions in washing machines. New generation washing machines have the same pendulous motions just like in machines 100 years ago. A more detailed description of this phenomenon with a big number of examples you can find in my collection “motion progress”. A method is developed and is being practically tested for analyzing effects recursively i.e. historically as well futurologically i.e. to picture possible future implementations. As we can see from the above scheme this analysis method is based on the classification of motion types (the left half of the diagram) and on the classification of types of orientation of axis or of the plane in which the subsystems ED moves. The sigma signs in both parts of the diagram mean that it is possible to combine all types of motions and polarizations. There is no algorithm to work with this diagram at the moment which is a disadvantage which should be fixed in the future. Obviously it should be applied together with all developed prediction methods especially ones like RDTS method. More to that, talking about dialectic laws particularly about “the double negation law” and RDTS I would like to return to the inconvenience in using this law applied dialectics which has the whole set of regularities described in RDTS as its tool. I think that for our purposes it would be convenient to examine such categories as “the spirality of progress” and “the recurrence of progress” differentiating them by the fact that the first phenomenon is based on the technology transfer processes inside one family of machines and the second one is based on transferring technologies from completely different machines, such as fro example airplanes and washing machines. Thus returning to the above article we can count that the phenomenon of transfer of the idea of a hinge in Otto Lilienthales wing to a wing with ailerons is an appearance of spirality. 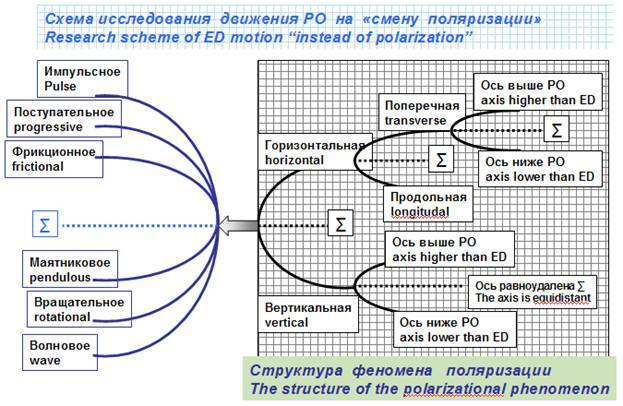 This transfer is of a type “hinge-a number of hinges” according to the “dynamical level” trend and of a type “pendulous motion – pendulous motion” according to the “research of possibility of polarization changes” diagram. And we can count the adoption of a morphous wing from bionics as an example of recurrence in progress. 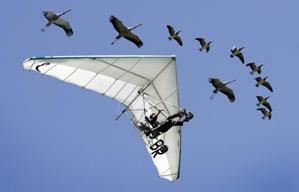 The export of physical effects in aircrafts that are heavier than air by the recurrence method can be illustrated by comparing the flight of a pterodactyl (or a bird) and of a hang glider. 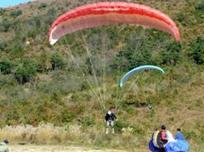 To make a turn both a pterodactyl and hang glider rider use the effect of shifting their centers of mass. The same physical effect (shifting centers of mass to make a turn) combined with other effects are used in paraplanes and helicopter. 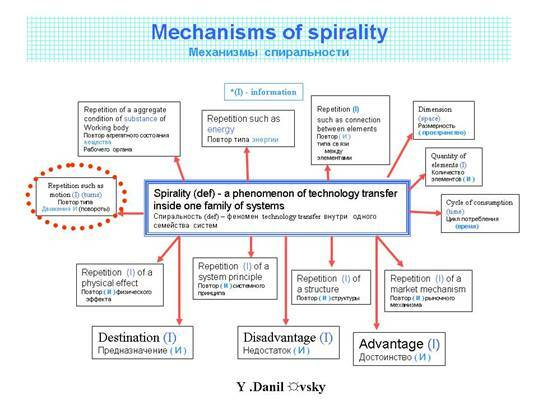 This situation call be interpreted as an appearance of “spirality” because technologies are transferred inside a family of machines: aircrafts heavier than air. The method used here to build interpretational models is well-known in the history of science. An uncomfortable model А not А not (not А) was replaced by a model, where an effect is sorted by basic procedures. The next step can be done and this classification can become more detailed. For example it can be done as in the diagram below where we managed to used most trends from RDTS. This interpretational model of the double negation law allows us to formulate research programs to form data bases by different identifiers, which is a big advantage. I should point out that far from all mechanisms revealed at the moment are presented at this diagram because the detailing process can carry on. The classification of mechanisms from the above diagram is based on resource classification which is why as we can see the realization of the double negation law can be presented in a simpler way as it is on the “spirality mechanisms” scheme. 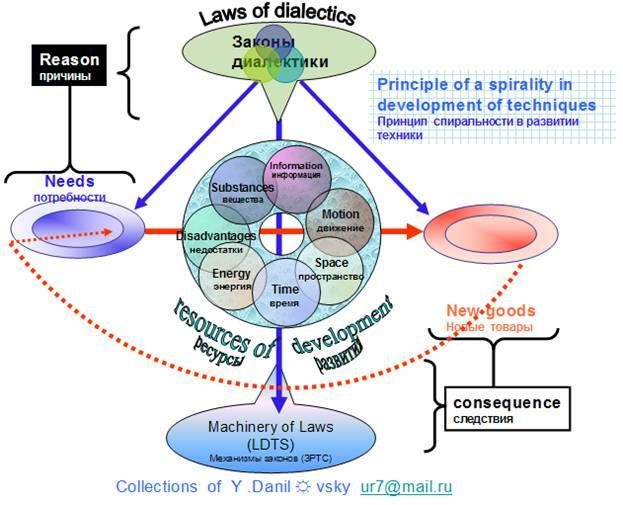 As a conclusion to a sketch about new possible models of the double negation law in the scope of applied meanings of dialectics or engineering philosophy we can have a look at a diagram the describes the spiralty process in the development of mechanics in the sense of people’s needs and “detrimental machines”. 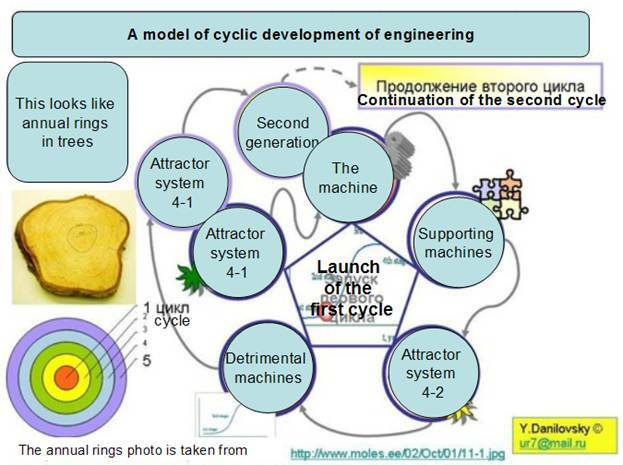 The terms “system of attractors” and “supporting machines” are used on this diagram. These terms have been defined and used in previous articles. We will take a look at all these models as well as at the models of two other laws of dialectics: the quantity-to-quality transition and the unity and conflict of opposites in future articles. The correlation between laws of dialectics and of RDTS is a very important task in predictions because they are a semantic basis for modeling in our application area. 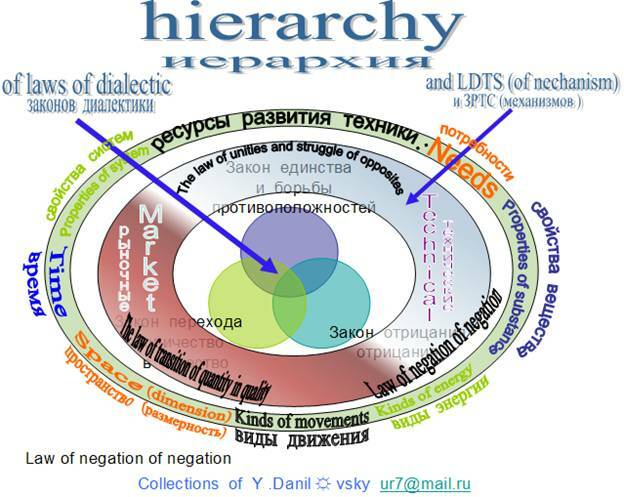 More to that I think that dialectic laws, those of RDTS and resources for a sort of a hierarchic system as is illustrated on the picture below. We examined the fact of appearance of the morphous wing concept from the position of the double negation law and made a review of modern models for practical application of this law to make predictions. The procedure of correlating RDTS with the laws of dialectics is extremely important in practical use of all ontological scopes of RDTS in making predictions. We have made a short preliminary and a superficial review and outlined a plan of future publications concerning this important topic. The format of a short historical sketch about any specific branch of engineering topic is a convenient tool to illustrate approaches of engineering philosophy. We will develop this unique genre.